A new an online search tool has been launched which lets motorists easily check if their car is on a safety recall list. 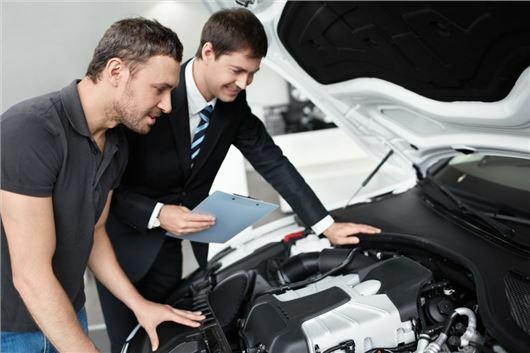 The Vehicle Safety Recall search tool, live now at motorcodes.co.uk, works when a car’s VIN (vehicle identification number) is entered into the search box. If the car is subject to a recall, the owner will be directed to a nearby dealership. Operated through Motor Codes, a regulatory body for the UK motor industry, it has the backing of the major car companies and should simplify the recall process for both manufacturers and consumers – and ultimately improve safety. "The UK vehicle recall process is one of the most robust in the world, and manufacturers are constantly striving to make it even better. Essential recalls can be missed when a vehicle transfers between owners so this portal provides a fast way of checking any safety issues," says the Society of Motor Manufacturers and Traders Chief Executive Mike Hawes. The Government ultimately manages all official car recalls through the DVSA (Driver and Vehicles Standards Agency), with a success rate of consistently over 90 per cent, according to the SMMT – success meaning the proportion of recalled vehicles that are actually fixed as a result of the recall. That compares very favourably to the 37 per cent success rate for recalled consumer products, according to the SMMT. It was already possible to check the details of all car recalls using the Government's Gov.uk website (you can find that by clicking here), but this new search also includes 'minor' manufacturer-initiated recalls that may not fall under the terms of an official DVSA recall.